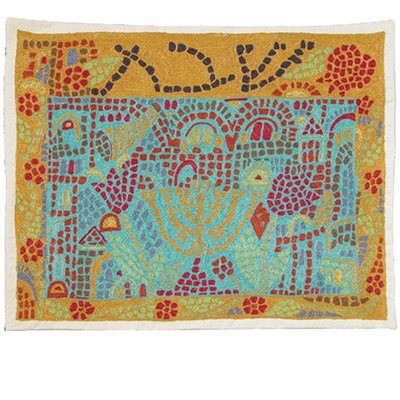 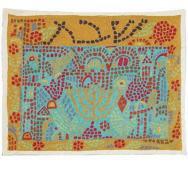 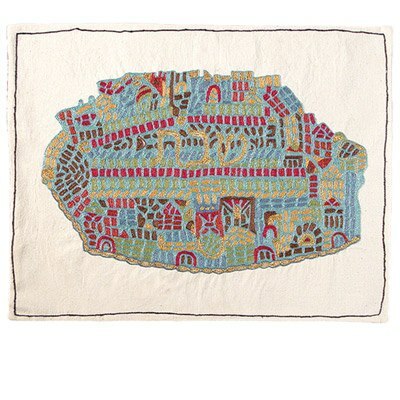 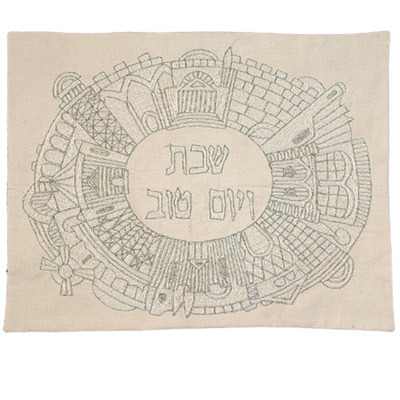 Yair Emanuel’s challah covers are hand embroidered in chain stitch shape over a raw cotton fabric. 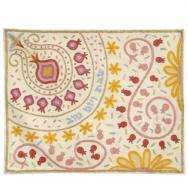 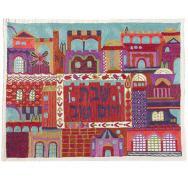 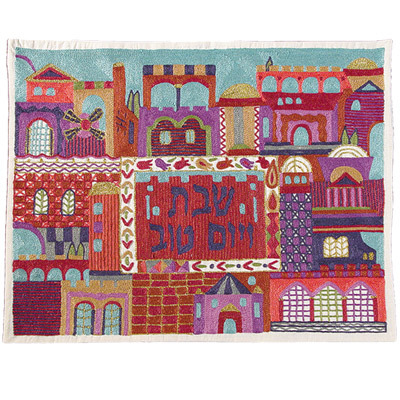 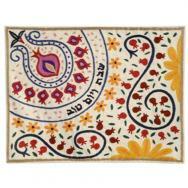 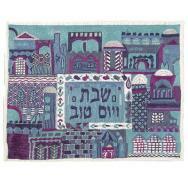 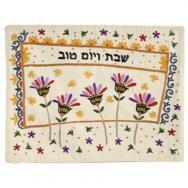 The challah covers are decorated very colorfully by means of multicolored, silver and golden silk threads. 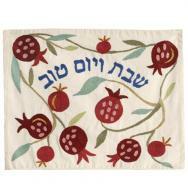 The patterns on the covers depict the city of Jerusalem, the Seven Species, flowers and pomegranates. 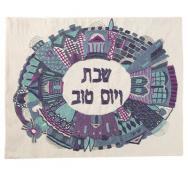 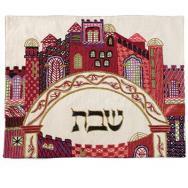 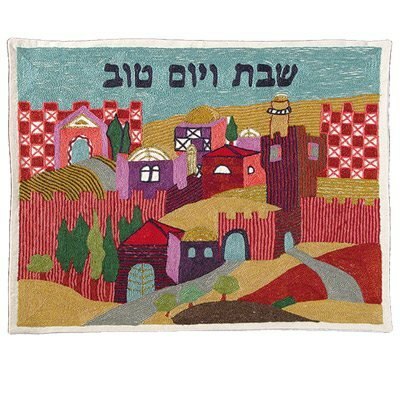 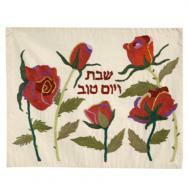 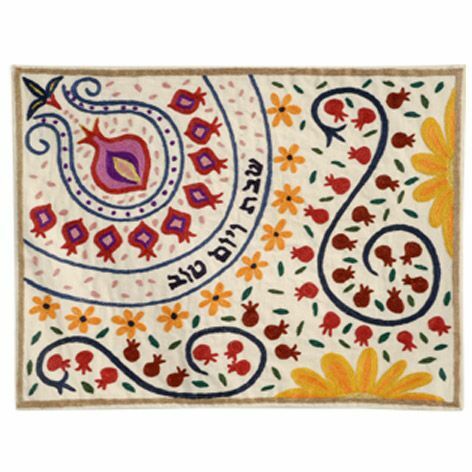 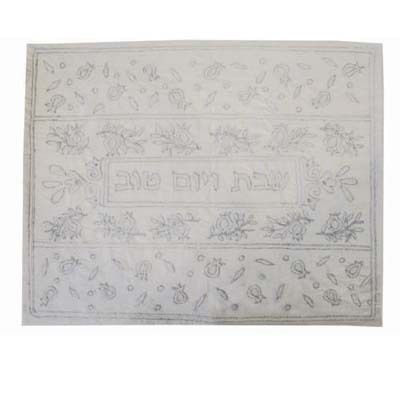 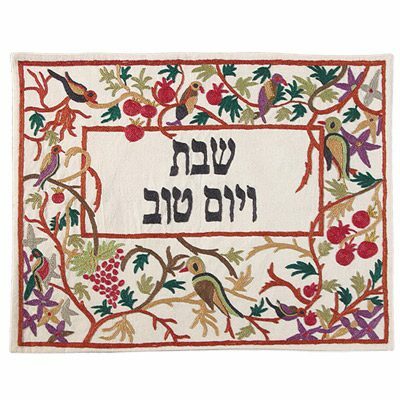 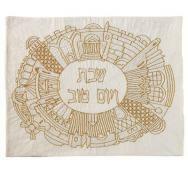 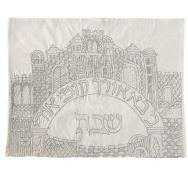 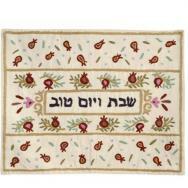 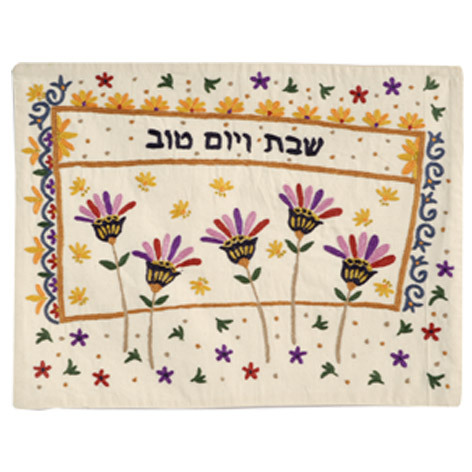 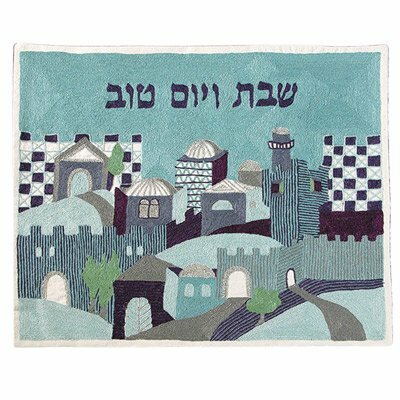 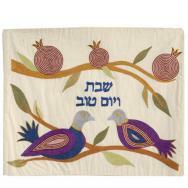 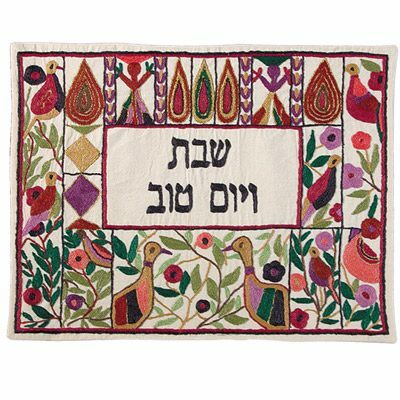 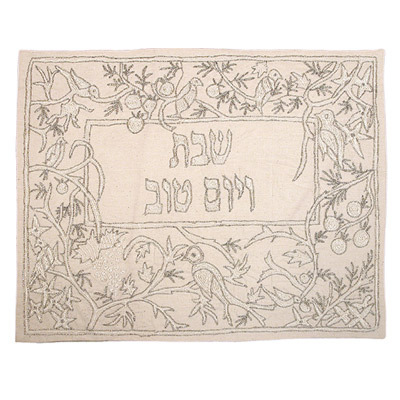 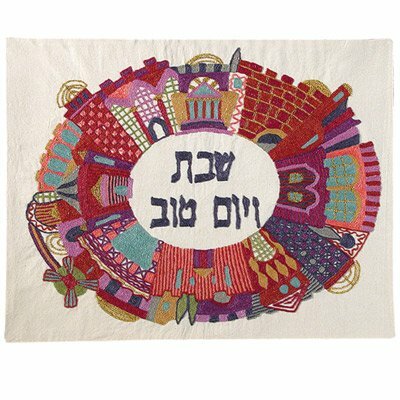 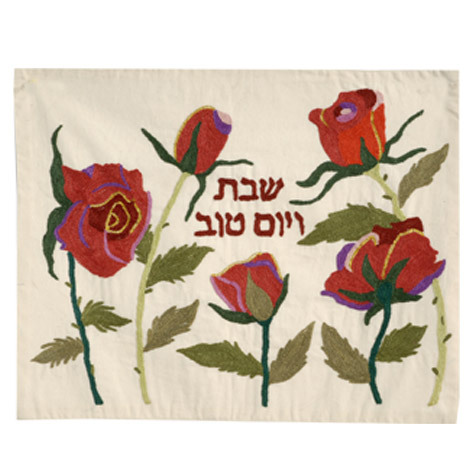 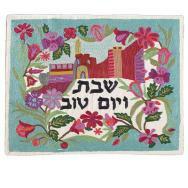 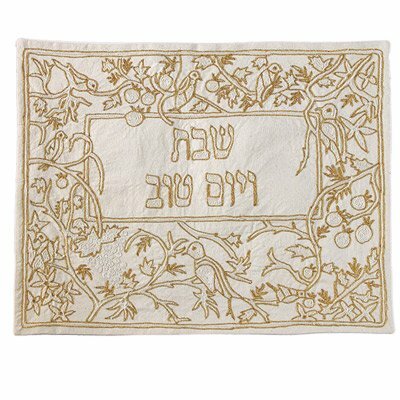 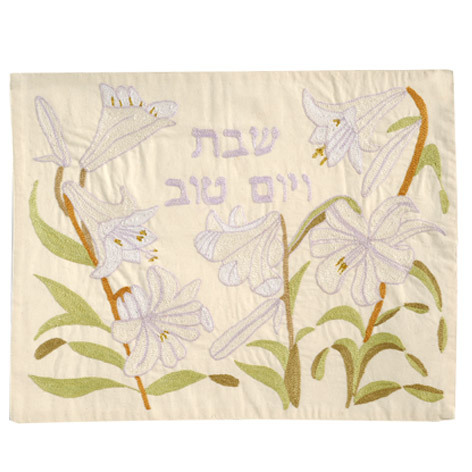 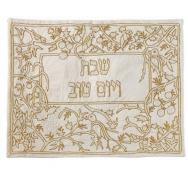 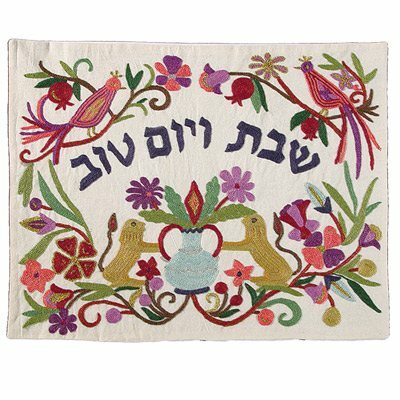 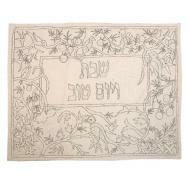 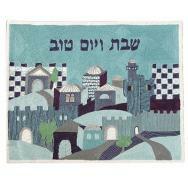 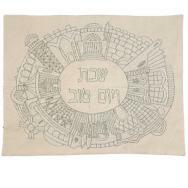 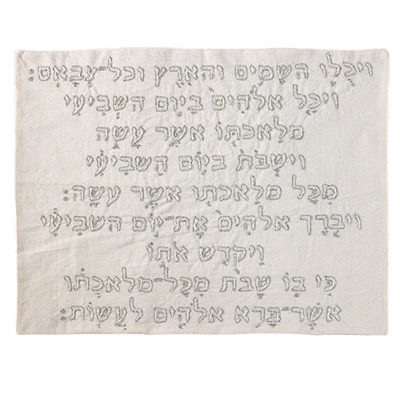 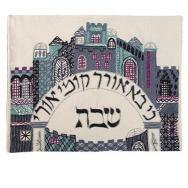 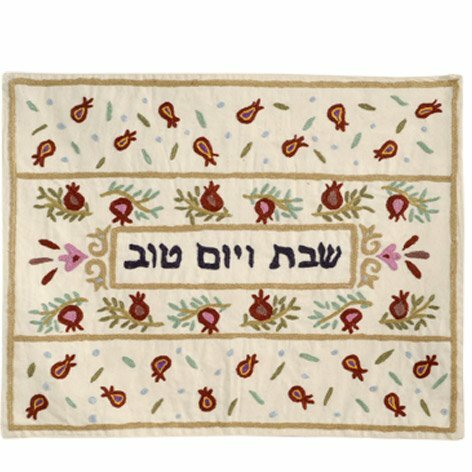 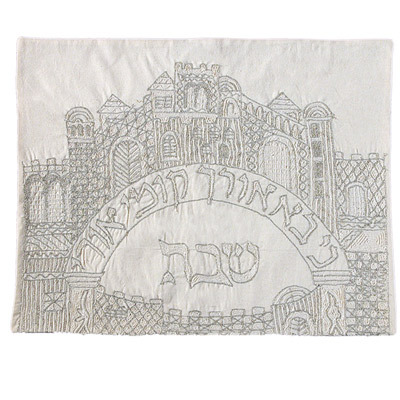 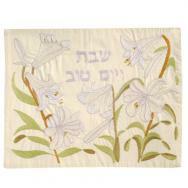 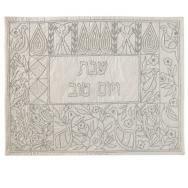 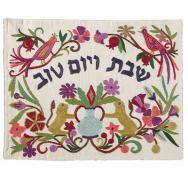 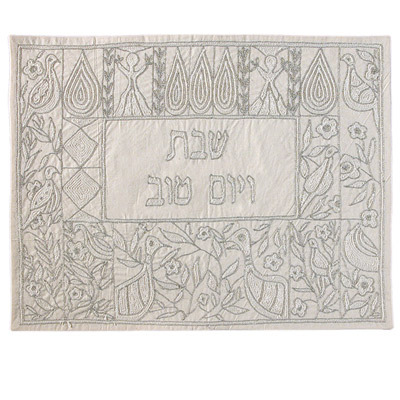 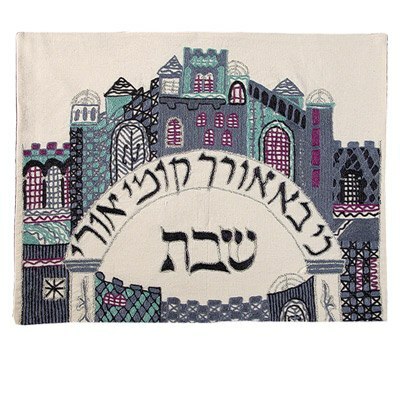 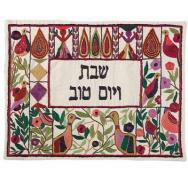 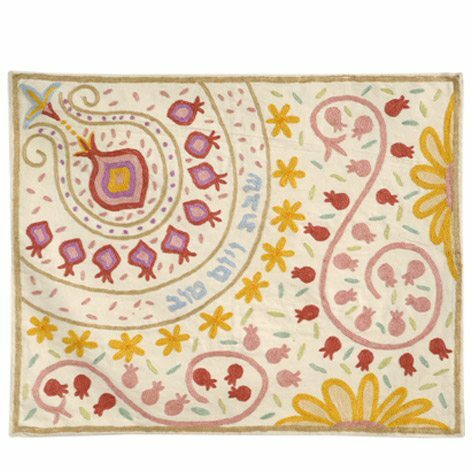 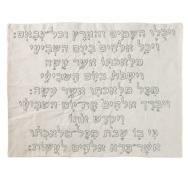 The words “Shabbat VeYom Tov” (Shabbat and Holidays) are embroidered in the center of the challah cover.